The WISE Prize for Education recognizes an individual or a team for an outstanding contribution to education at any level. The WISE Prize for Education is the first distinction of its kind to recognize an individual or a team of up to six people for an outstanding, world-class contribution to education. The WISE Prize for Education Laureates are inspiring role models for all those concerned with building the future of education as the foundation for a more secure, prosperous, and sustainable world. Established in 2011 by Her Highness Sheikha Moza bint Nasser, Chairperson of Qatar Foundation, the WISE Prize for Education raises the status of education by giving it similar prestige enjoyed in other areas for which international recognition exists, such as literature, peace and economics. The World Innovation Summit for Education was established by Qatar Foundation in 2009 under the leadership of its Chairperson, Her Highness Sheikha Moza bint Nasser. WISE is an international, multi-sectoral platform for creative, evidence-based thinking, debate, and purposeful action in education. Through the biennial summit, collaborative research and a range of on-going programs, WISE is a global reference in new approaches to education. 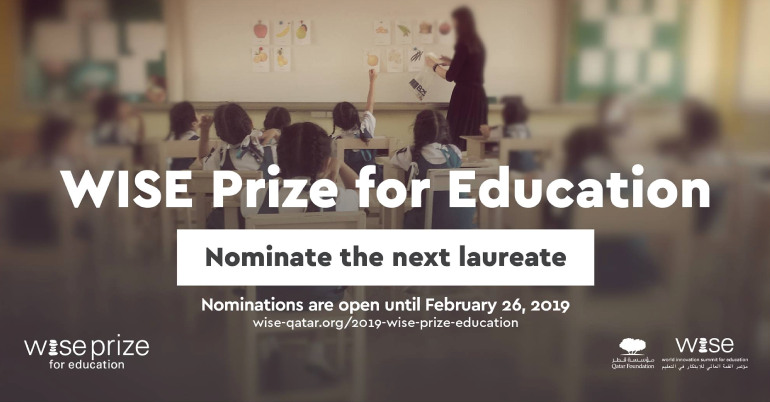 Besides celebrating outstanding education leaders, the WISE Prize also supports their work in shaping the future of education. Hence, the Laureate(s) will receive tailored support over two years to grow their initiative further and scale their impact. The WISE Prize funds of US $500,000. 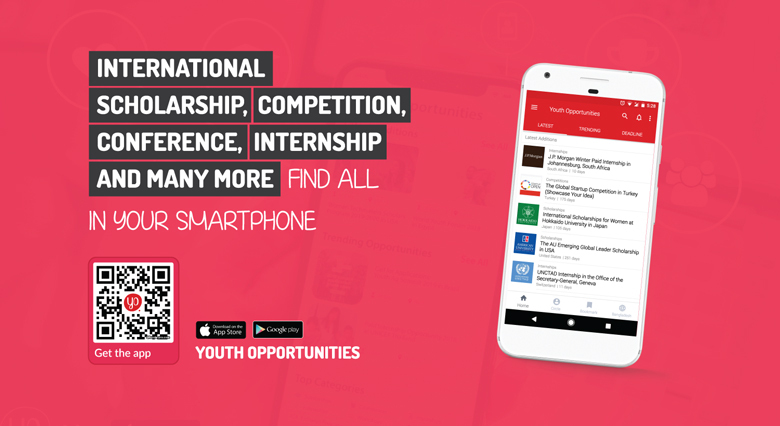 The Laureate will gain global visibility and opportunities to collaborate through various platforms, including the global Summit and WISE events across the world, WISE communications and publications. Positive Systemic Innovation: the nominee(s) is a catalyst for systemic change by creating innovative solutions to local or international education challenge(s). Leadership: the vision of the nominee(s) is not only innovative but contextually challenges the status quo. The nominee(s) is the driving force behind the project/organization not simply the director. The nominee has the energy and aspiration to continue growing the impact of his or her work. Sustainable Impact: the contribution of the nominee(s) generates positive and sustainable impact in the lives of the targeted beneficiaries. Shortlisted nominee(s) must clearly outline how the WISE Prize for Education will optimize, grow and scale their impact. The nomination form should be completed in English. Any other language will not be considered. The nomination form should be submitted before the deadline as the system automatically closes by the timeline, and WISE does not accept nominations after the deadline, February 26, 2019. To prevent any accidental loss of information while completing the form, we encourage nominators to save at every step. The nominator should fill out all the required questions, The nomination cannot be submitted until all the required questions are completed. Each nomination requires two supporters; the two references should be individuals who have worked closely with the nominee from collaborating organizations, previous colleagues, etc. The WISE team will contact the supporters, the supporters SHOULD NOT send letters of the recommendation to WISE unless they are requested. WISE will contact the two supporters, kindly make sure that their details are up to date and correct. A confirmation email along with a PDF version of the nomination form will be sent to the nominator once the system has received the nomination.